We understand the role your landscape plays in contributing to the overall appearance of your home. 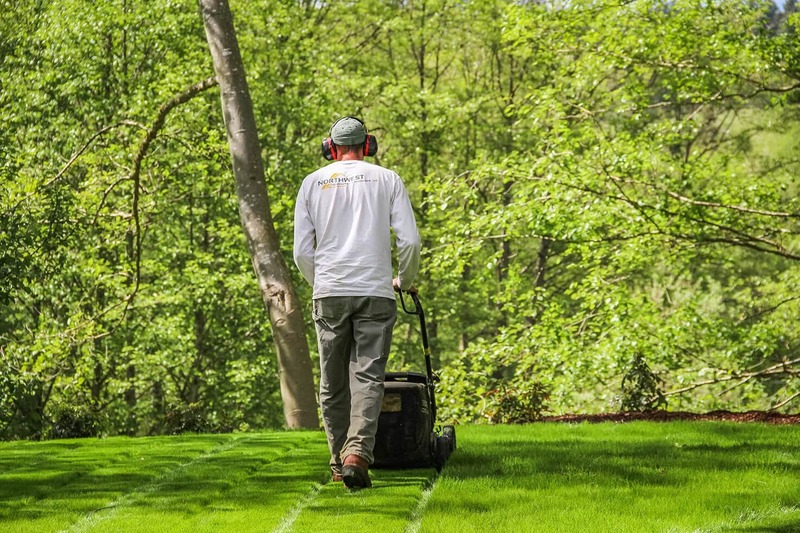 Residential landscape lawn care and maintenance is time-consuming hard work and there’s work to be done every season. Our certified technicians will mow your lawn, trim your hedge, cut back your perennials, remove fall leaves, and do much more, so that you don’t have to. During the first few months or our working relationship, we’re learning what’s important to you. This “getting to know one another” phase is key. Let us know your preferences early on, whether that’s a desire for natural or sheared pruning, how tall or short you like your lawn cut, or where you’d like us to park our truck and trailer. The more information you provide about your preferences, the better we’ll be able to meet your expectations. We offer year-round programs and three options for lawn care and landscape maintenance: Full Service, Lawn Service, and Bed Only Service. We visit every week or every other week during the growing season, and less frequently during the winter months. Mowing, Line Trimming & Edging – Grass Fertilization – Weed Control (organic available) – Blowing & Debris Clean-Up on Walkways, Driveways, Patios & Decks – Herbicide Applications (organic available) – Pruning, Hedging & Shaping – Irrigation Repair & Maintenance – Bark Installation – Pressure Washing – Winter Leaf Removal – Winter Storm Clean-Up – Seasonal Clean-Up Contact us today for a year-round landscape maintenance proposal. SPRING AERATION OR FALL AERATION IS VITAL TO A VIGOROUS LAWN. Aeration, also known as core aeration, is a lawn care service that results in a healthier lawn by allowing proper circulation of air, water and nutrients to the soil. The process involves using a mechanical aerator to remove small plugs of lawn, thatch and underlying soil. This relieves any compaction that has occurred from everyday activities such as foot traffic and kids or pets playing on the lawn. To complete the aeration process, we apply a topdressing of organic compost and then overseed to ensure that bare spots or thin areas fill in. When soil is compacted, air is essentially squeezed out, robbing your lawn’s root system of necessary oxygen and water filtration. This can slow growth and cause thinner grass blades. Aeration is especially important for areas that are covered by shade because these areas tend to retain more water. 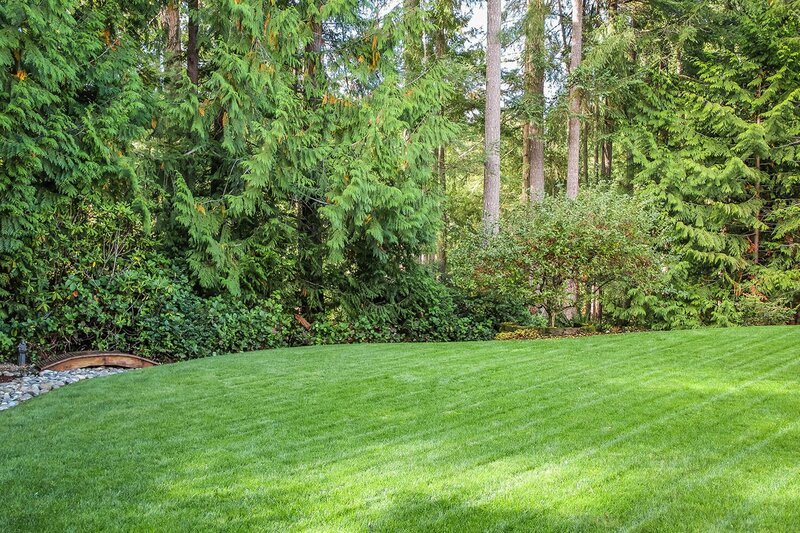 For optimal lawn health in the Pacific Northwest, aeration should be done on a regular basis. Benefits include: • Improved air exchange between the soil and atmosphere • Improved fertilizer and water absorption • Stronger turf grass roots • Better soil structure • Stronger tolerance to heat and drought • Improved resiliency and cushioning An added benefit to spring or fall aeration is that lawns become a permeable surface for rainwater to filter back into our groundwater supply. 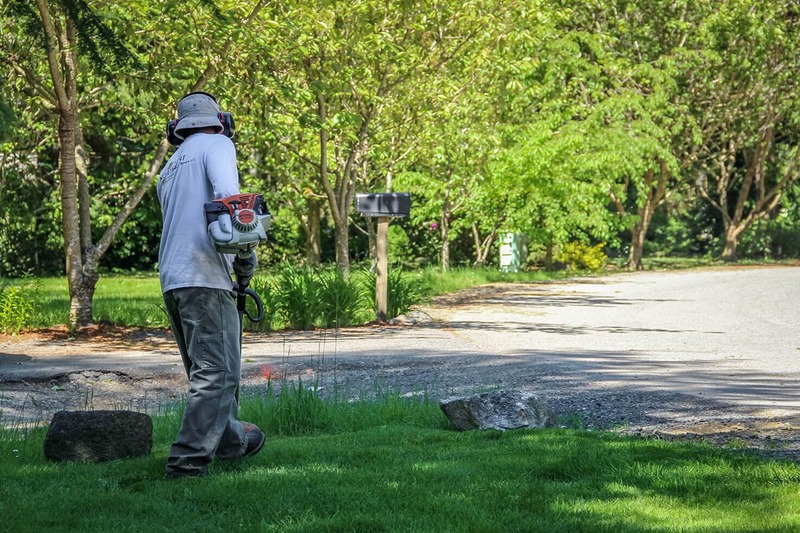 View progress photos of a lawn renovation project that included aeration in Silverdale. SPRING AND FALL CLEAN-UPS KEEP YOUR LANDSCAPE IN TOP CONDITION. A well-kept landscape requires extra attention in the spring and fall. Lawns and plants thrive when granted optimal conditions during their growth and dormancy periods. Tidy your landscape before the growing season with a clean-up. Late winter to early spring is a great time to remove unwanted branches and debris from winter storms, rake and detail garden beds, and apply a pre-emergent herbicide for weed prevention. 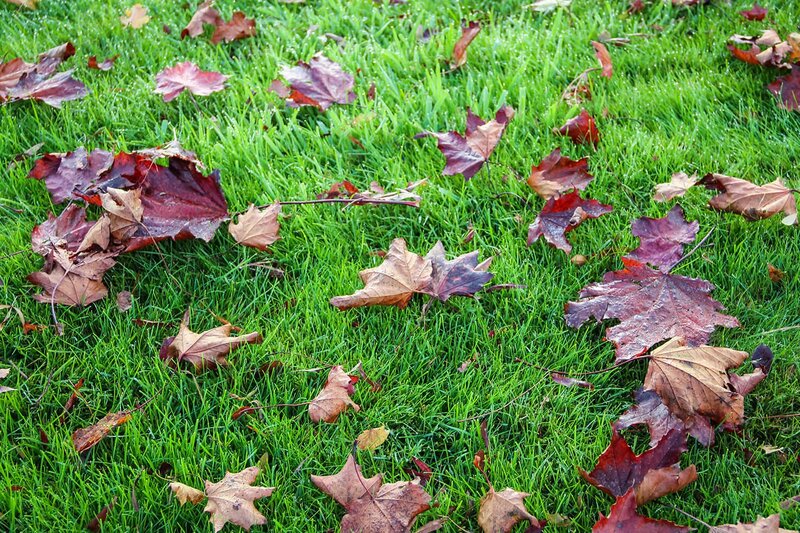 In the fall, we can cut back perennials and remove pesky fallen leaves from your lawn and bed areas. Apply a thick layer of fresh bark in late fall, and your plants will be protected throughout the cold winter months. We recommend 2-3” application of bark for proper insulation. Without regular maintenance, it doesn’t take long for your lawn or landscape to get out of control. Though spring and fall are typical times for clean-ups to be performed, we offer one-time clean-up services year-round. 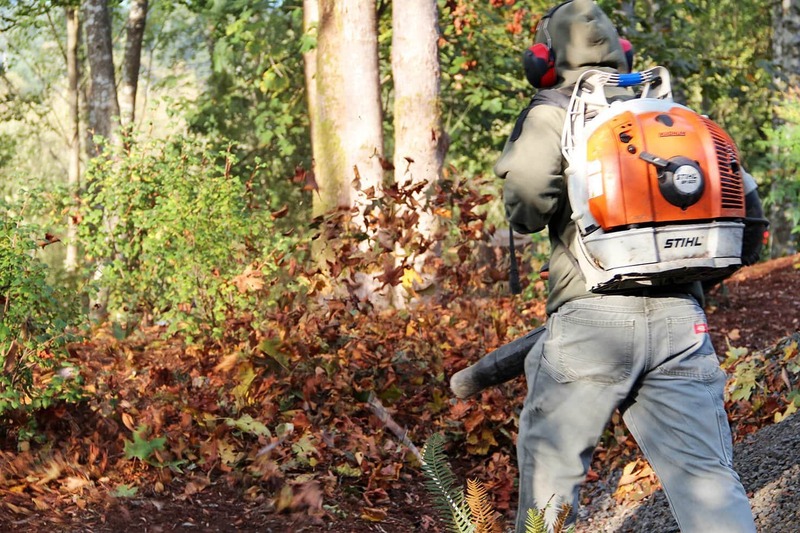 Our clean-up services include pruning blackberry bushes, field mows, brush clearing, and more. Click here to learn about our landscape recovery process. Whether you’re in the budgeting and planning phase or ready to start your project, we’re here to help. Contact us for an on-site meeting and free estimate.